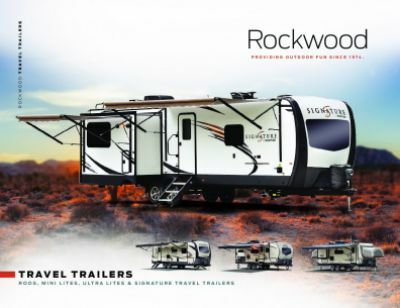 Your outdoor adventures are even better with the 2020 Forest River Rockwood Mini Lite 2512S Travel Trailer! All Seasons RV in Muskegon, Michigan is one of the nation's top, full-service RV dealerships simply because we have an amazing inventory of RVs at prices that are amazing too! Come in and browse our huge indoor showroom and let our friendly, knowledgeable staff help you find your dream RV at a price that will make you smile from ear to ear! We're conveniently located at 4701 Airline Rd Muskegon Michigan 49444 and we're sure to have the perfect RV for you and your family! Don't live in the Muskegon area? No problem! We have fast, reliable shipping all over North America and personalized online and phone service so you can have your RV delivered to your door in no time! Call us today at 231-739-5269 and let us make your RV dream a reality! Expand your boundaries! Take this Travel Trailer as far as you want, as it has a hitch weight of 638 lbs. and a GVWR of lbs. When you finally do reach your destination, place your camping chairs and picnic table under the shade and protection of the 17' 0" awning! 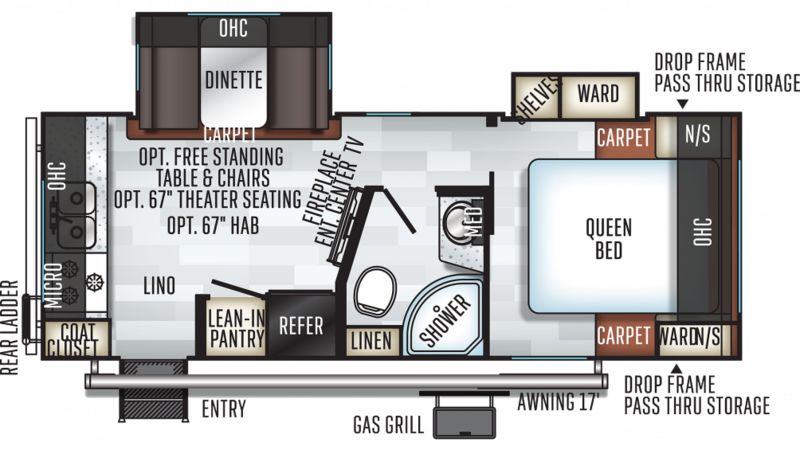 You and your family will slumber comfortably every night in this spacious and cozy RV, which sleeps up to 3 people! You'll be extra comfy nestled in the Queen bed of the master bedroom!